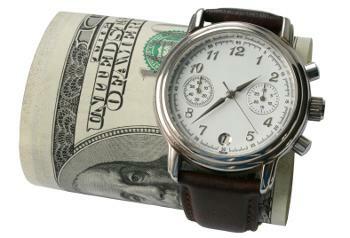 How you set up bonus programs can have a big impact on your overtime budget. And there’s another complication: Under the new federal overtime rules that go into effect on Dec. 1, 2016, employers can satisfy up to 10% of an employee’s weekly salary requirement with quarterly nondiscretionary bonuses. If those bonuses aren’t large enough in any given quarter, em-ployees must receive overtime pay for the past quarter unless the em-ployer makes up the difference by the next scheduled pay period. And that overtime would be based on a higher regular weekly salary, since the nondiscretionary bonus would be added in. Recent case: An hourly employee who worked for a Converse shoe store in California sued his employer. He alleged that because the store had a bonus program, he was entitled to a larger overtime payment under California law than he had been receiving. The bonus program was based on a formula that used his rate of pay times a percentage times store profitability. Converse argued that it was not a bonus incentive plan. Both parties agreed that Converse pays overtime on regular paychecks and gives employees quarterly bonuses. However, the parties disputed whether Converse’s quarterly bonuses should be included in the calculation of the regular rate of pay to increase the employee’s rate of pay and thus increase the employee’s overtime rate. The parties agreed that Converse did not make such adjustments. The court concluded that if a bonus is based on factors that act as an incentive to the employee, the regular rate of pay must be recalculated to include the additional bonus pay under both federal regulations and California’s Labor Code. Incentive factors can include bonuses for production, efficiency, quality and length of service. On the other hand, bonuses based on a percentage of total earnings and merit awards where “both the fact that payment is to be made and the amount of the payment are determined at the sole discretion of the employer” do not have to be included in the regular rate of pay. The question then became which type of bonus Converse provided. Final note: With the new overtime rules looming, now is the time to review your bonus plans if you have not already done so. Be sure to examine whether you will want to use the new overtime rules to take a partial salary credit with a quarterly nondiscretionary bonus plan for exempt employees. Determine how this might impact overtime requirements for hourly workers.